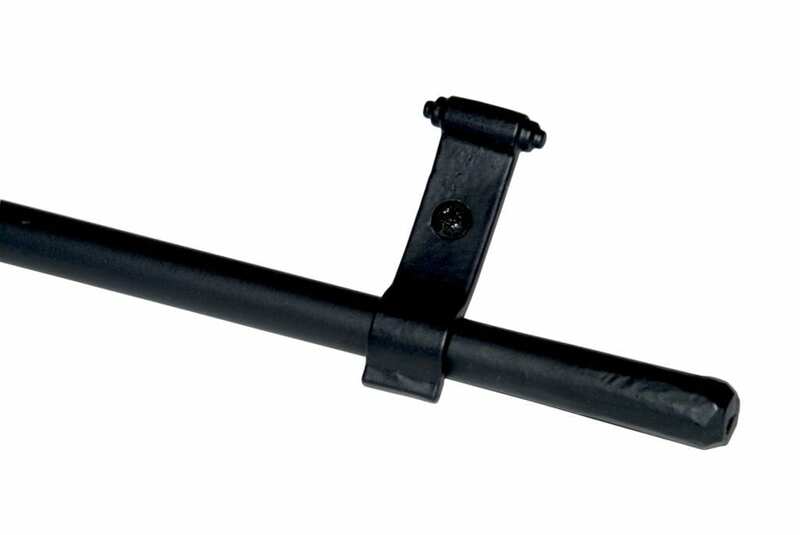 Stair rods come in all sorts of designs and sizes and in many finishes.  We offer more than 100 different styles and it is interesting to see what is trending and which are the most popular carpet rods this year. 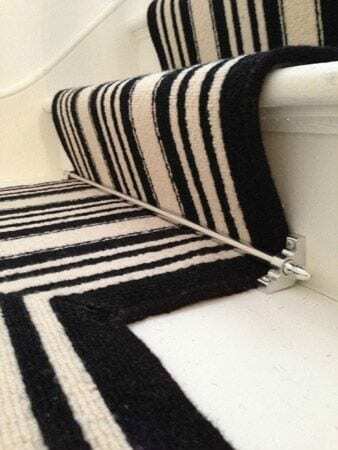 Whatever the design of your stair runner carpet, in my opinion adding stair rods completes the look. Without them a staircase seems unfinished and lacking in purpose. This wins as great value and the most popular. 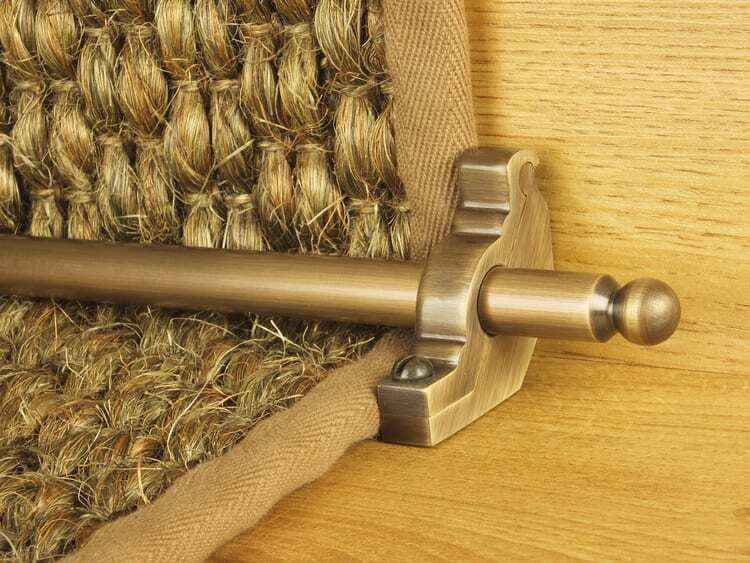 At the economy end of the market, the Homepride stair rod has been around for many decades and is a classic. Featuring a stylised acorn end, it provides a nod to contemporary design without being too flashy. It comes in a number of different finishes traditional polished brass comes top. 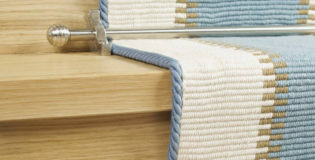 These carpet rods are part of the Vision collection and provide a modern aesthetic. The finial is a familiar sphere but with added decorative detail which is enough to set it apart from the more traditional designs. The Arran carpet rods feature the thistle as a finial design. The fact it has risen to number three in our top selling chart may well reflect recent political events in the UK: not least the referendum. I also think the finial is probably one of the most distinctive in profile and is therefore a striking decorative feature. 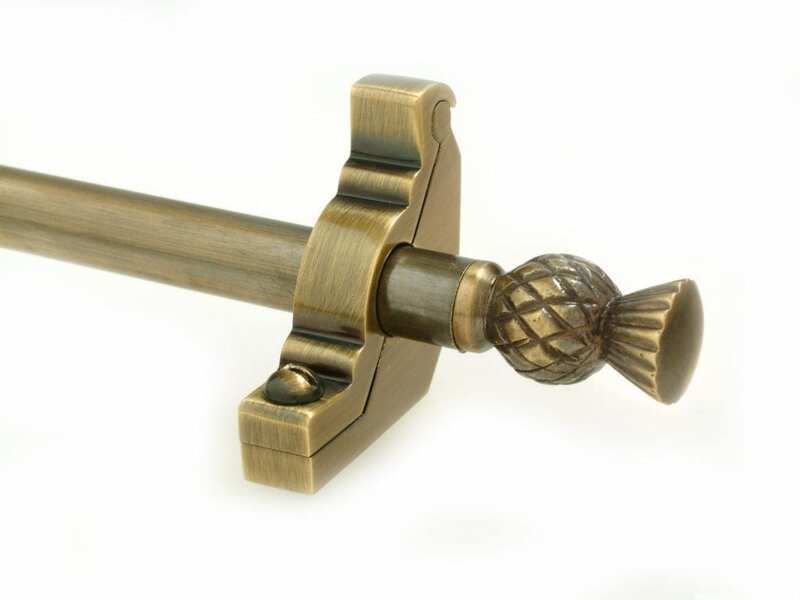 This particular rod is one of the few solid brass stair rods in the marketplace. By far the most popular finish is the antique brass as these very much lend themselves to period properties. Once again, the sphere proves popular. I understand it matches the newel cap in some homes and so the Windsor stair rod design complements well. Owner of an old cottage with creaking stairs, then the Blacksmith is for you.  Handmade with a beaten wrought iron finish, the Blacksmith stair rods add immediate character and I always feel add a friendly feel to your hall and staircase. 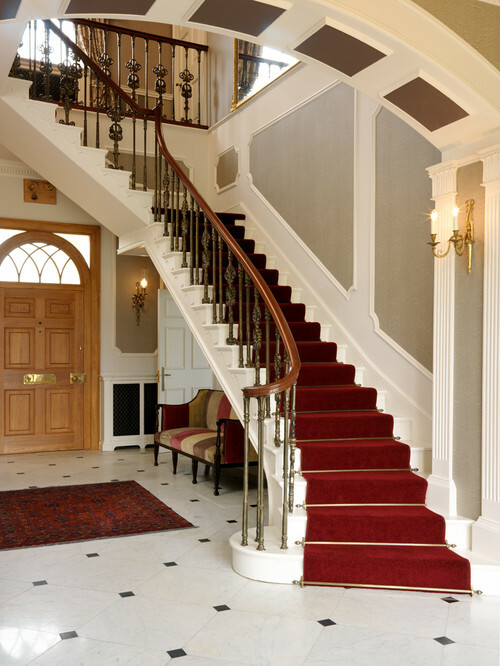 The Flat finial is probably the most simple stair rod design around and as such has an uncluttered feel to it.  We do sometimes get asked what are the best stair rod designs if you have a puppy. Well, the Flat is puppy proof – there is nothing it can tug at and pull off as the ends are integral to the rods. Now, that has to be a major plus.  To purchase the above stair rods or find your own favourite, take a look at our extensive online gallery of stair rods.